Loch Dhu is something of a quandary. 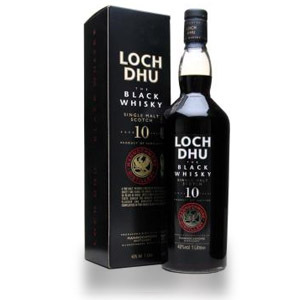 Distilled at Mannochmore in Speyside, and aged in double-charred oak casks, Loch Dhu (“Black Lake” in Scots Gaelic) is extraordinarily dark in color, almost opaque. Although unconfirmed, general consensus is that significant quantities of caramel coloring were added to enhance the visual effect. Bottled briefly in 1996-1997, its marketing was aimed at trendy young drinkers as a novelty black spirit. Today, it has a cult and collector following, and bottles can fetch several hundred dollars apiece. Part of this fascination is due to its rarity – bottling runs were mercifully limited – and part to its reputation as one of the worst single-malt whiskies in existence. If you ever come across a good deal on a bottle, buy it as an investment and don’t drink it! Sku over at Sku’s Recent Eats kindly sent me a sample from a 200ml bottle that he opened this month. Thanks Sku! Color is black – although with light behind it, you can tell it’s really just extremely dark brown – like dark corn syrup. Nose is brutal – a brash pungency like overripe bananas, black cherries in syrup, petroleum, burnt sugar, soy sauce, and raw fruit peelings. It’s intriguingly bad, like the nasal equivalent of a horrible traffic accident – you can’t help rubbernecking to look for body parts. It smells like a full kitchen trash-can after throwing away a burned stir-fry. The addition of a splash of water brings out a little of the fruit notes – like a dish of Bananas Foster that’s left to burn in a corner. Palate: Rotten fruit upfront, although the alcohol is surprisingly smooth. Medium in body, although every time I swish it around my mouth I get a fresh wave of rotten banana peel. Just as you settle in and start to think “this isn’t so bad,” the plastic and rubber notes enter, and start to smolder. At the tail-end there is a heavy dose of black licorice. A little water does nothing to improve the situation, if anything it dulls what little sweetness there is. Finish is redolent of black licorice, soy sauce, caramel, burning rubber, and burnt toffee. The experience is unmercifully long, leaving behind spent coffee grains and roofing tar. I had to drink two drams of Powers to get the taste out of my mouth. Wow. This is a train-wreck of epic proportions, and it’s a wonder the company ever put it in a bottle. The market-speak from the company would have you believe that the “ripe fruit” notes, the “smoky” nose and “complex” finish are good things. They aren’t. 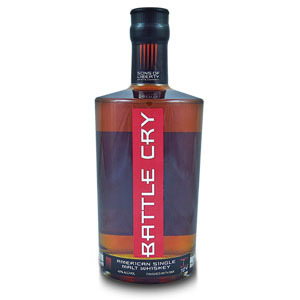 Also interesting are the handful of positive reviews of this whisky on the Internet. I suppose if you tried really hard to look at the experience as unique and refreshingly different, you might be able to bring yourself to say nice things… but if you drink it with a comparison to fine single malt scotches in mind, you will hate it. Personally, I think if the marketing for this product had aimed it at the digestif market, it might have done much better – it is bitter, herbal, anise-heavy, and will clear your sinuses, just like a lot of alcoholic bitters on the market. Acquired: (50 ml sample) gift from Sku's Recent Eats. just wanted to drop a note about your site. saw you post on bourbondork’s blog and clicked on the link to your website – first time i saw it. i just finished going over all your posts and I LOVE IT! fantastic layout, interface, etc., great info, very easy to read/take in, love the pics of regions and the bottles themselves. i used to drink mostly scotch, currently, mostly bourbon but i am beginning to get back into scotch (john h, ralfy and you are contributing to more wallet draining excursions). i picked up a few dusties today, mostly bourbon but did bring home 2 bottles of aberlour 15yo as well. 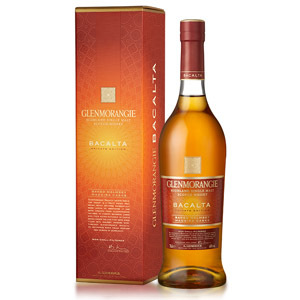 speaking of dusties – how does the “old” label macallan cask strength (all red label) compare with the current cask strength? anyway, great job and you have a new fan. Nice review! Now, did you finish the whole bottle? And some people just unfriend on Facebook… Nice review! This is the second review I have found absolutely panning this scotch! I found it to be a unique taste and quite enjoyable. Also sampled in the same evening were Redbreast, Jim Beam, and Gentleman Jack… the latter of which was downright awful [nearly as bad as the Old Crow I found in Missouri]. To each their own, though! Thanks for your comment! I would normally have thought I’d gotten a “bad batch” if it weren’t for the prevalence of other negatives reviews on the ‘net. I just could not get past the unrelenting rotten banana and flat Coke notes. It was honestly the worst whisk(e)y I have ever tasted, by a large margin. 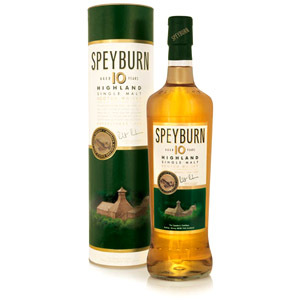 I’d gladly drink bottom-shelf $10-a-bottle unbranded blended garbage rather than the Loch Dhu. But, you’re right, to each their own! Maybe If I’d sampled this one in a different setting, I would have been kinder to it. Isa, I agree with you! I found this lovely elixir to to be almost romantic to drink. Like a fine lady, to be savored, enjoyed, resisting the urge to take it all in with one drink, rather slowly sipped, allowing it to gently awaken the taste buds following the pummeling they have just taken from dinner. It is a shame all cannot find something good in everything. In Loch Dhu, it is appreciation of different, different color, different flavor, different process. As for adding caramel, without proof, one would be remiss in mentioning such an accusation. Find some joy in life, fine a little good in everything. You may have to search for it, but you never know… the reward may be worth the effort. … You know, Homer, we need someone like you. Someone who doesn’t immediately “poo-poo” everything he eats. Homer: Nah, usually takes me a few hours. I love your review of Loch Dhu. I found it very funny…I’ve read it a couple of different times and it still makes me laugh. That comes close to my opinion. Well not as able to pick out details as our host, I describe it as what happens when someone who routinely drinks good scotch can only find an ashtray to relieve themselves in. Back in the middle ninties a buddy of mine bought a bottle of this stuff. I think it was bout $25 for a 750 ml bottle back then. We gave it a real chance to reveal itself to be more than just a novelty. It didn’t. Needless to say we never had another though given the ridiculous price of this stuff now I wish I had bought a case. One of the worst whiskies I have ever tasted. What a waste of good Mannochmore. I came across a bottle back in the late 90’s (when it was affordable)and found it to be one of the single malts I actually prefered. But only ice cold, and on the rocks. I think it’s the only single malt I’ve tryed that tastes better on the rocks as opposed to neat or with a splash. When I tried it neat – you review would describe that experience pretty well. Over ice, the sharp edges get smoothed out pretty nicely. My experience exactly, Vibe. Wish I could afford another bottle — but not at these prices! 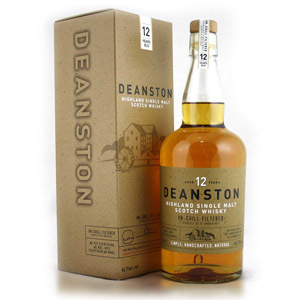 This appears to be the whisky equivalent of Plan 9 from Outer Space – everyone’s heard of it; everyone knows it’s bad, and everyone wants to try it, not in spite of, but because of its badness. I used to buy Loch Dhu back in the ’90s. I remember it being very good. Very malty and peatie, I found it quite nice with a cube of ice. Maybe it doesn’t age well, because I wasn’t the only one of my friends that liked it ! I was fortunate enough to receive a case of this remarkable elixir back in the mid 90s from a friend. Unfortunately I have but 2 bottles left and am saving it to celebrate my 70th and one for my 80th birthdays .. In my honest opinion this is one of the finest products ever produced in Scotland .. On the rocks it’s like pure gold slipping down the throat. I feel back for those without a working palate who cannot admit that ecstasy does come in a bottle and the colour black ? So, I have an unopened bottle of this stuff. How do I sell it? Depends where you are, but the only “real” answer is via Auction site in Europe/UK. I’ve never done it, so I can’t help much.